An all-time Club record 5th wicket stand saw Stoke move up to second place in the table after another victory. In the field first having lost the toss Stoke chipped away at Addiscombe’s order; the returning Toby Tarrant, (10-2-28-3), and Shawn Dyson, (12-3-43-4), making it 103 for 7; three of them caught at the wicket by Alastair Curran who stood in after the late withdrawal of Tom Frost. 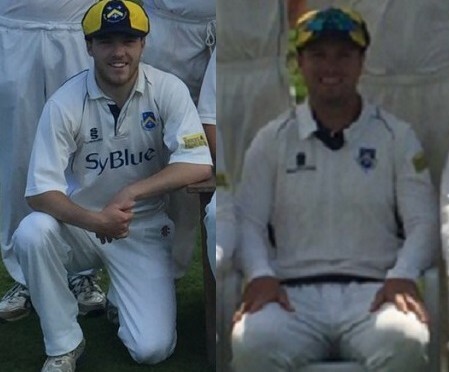 Addiscombe were indebted to Ramsey, (74 not out), and No.9 Dhond, (26), who helped post something to bowl at. After Ian Hopton, (2 for 43), took the eighth and ninth wickets the innings was closed on 190 by Billy Zander who took a wicket with just his fourth ball. Max Subba Row and James Trower gave the chase a nice start with a stand of 34, but were first and fourth out for the addition of just one more run in the space of 19 deliveries. Corbishley faced 93 balls for his runs and hit six fours; Hopton faced 117 and hit 16 fours. After a run of road games Stoke are back at The Rec next week where their friendly rivalry with Churt resumes.